One of Pelikan’s most celebrated fountain pens is the Pelikan Toledo. Ever since it was created in 1931, this pen has been among the finest writing instruments in the world. It’s design is inspired in the arabesque patterns used in medieval Spain, both for architecture and for jewellery. The smiths of Toledo were famous during these centuries for their fine works and still today the city keeps that heritage. This is why the pen takes the name of this city, since each pen is delicately hand-crafted by professional craftsmen. Due to its difficulty, only 200 pens can be made per month! The Toledo pens have been finished in various designs, including the special editions in red and yellow resin. This new M910 Sterling Silver Toledo Pen, offers an alternative to the previous version in gold, and is larger than the sterling silver version M710. This is ideal for people who write a lot, because its ink deposit is quite large (you don’t need to refill it as much!!). The Sterling Silver version is extremely beautiful, with a different design than the gold version, and with the clip and rings platinum plated so to give a brighter appearance. This wonderful pen is as elegant as it is rare, a perfect acquisition for your private collection, or a noble companion at your desktop. It is a NEW production this fall 2012, and only available for a limited period of time!! Luckily there’s one waiting for you at Iguana Sell, are you ready? 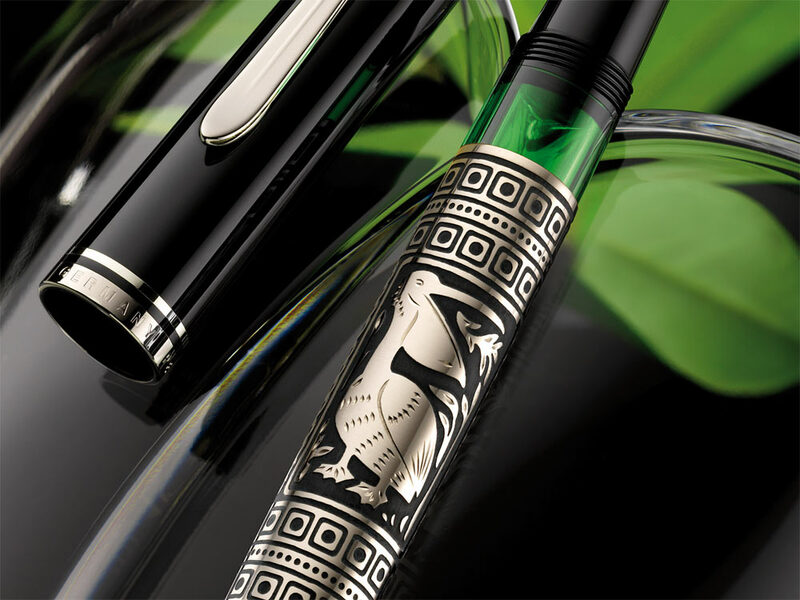 New Montegrappa Kazan Limited Edition! !New Pen!! Pelikan Classic M200 Demonstrator! !